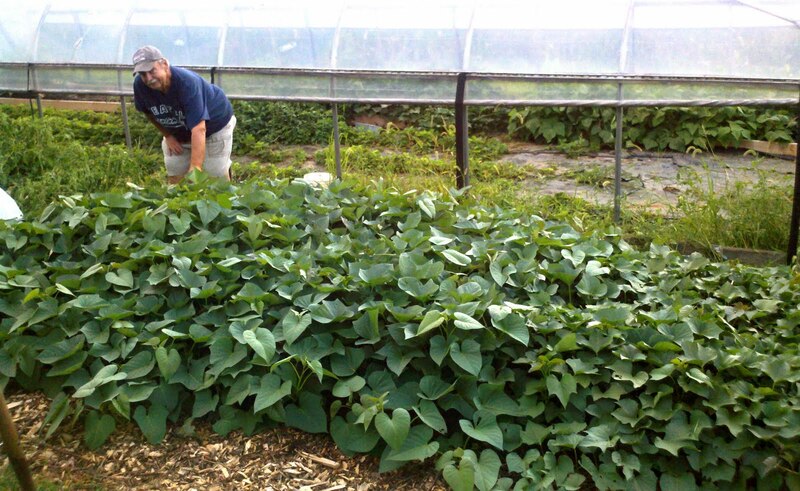 The Carroll County Grow It Eat It Raised Bed Group jumped into this year’s garden season with a comprehensive planting plan and schedule. 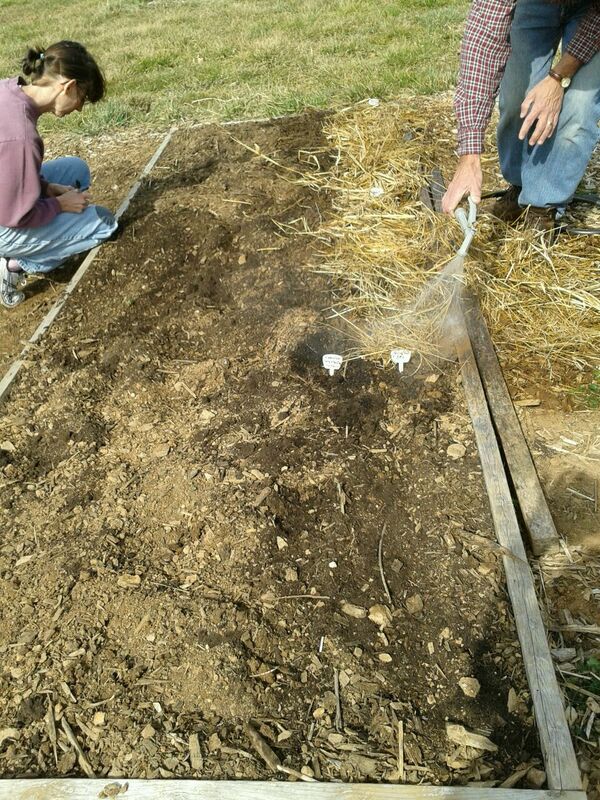 The team (a sub-group of the County Grow It Eat It Team) will manage the six raised bed vegetable gardens located at the County Demonstration Garden behind the Agriculture Center in Westminster. This week, Master Gardeners Joanne Roush; Kay Sedlak; Cheri Grubby; Joan Epler; Meg Gross and Intern Bill Corun planted Peas, Onions, Perpetual Spinach, Tatsoi, Mizuna, and Komatsuna (latter four plantings focusing on the Univ. of Maryland’s State Grow It Eat It vegetable of the year “Leafy Greens”). Sweet Potato Festival held at the Garden in 2011. As the weather warms and Mother Sun continues to gain strength, the group will add Tomatoes, Peppers, Cabbage, Kolrabi, Swiss Chard, Turnips, Lettuce, Kale, Beets, Mustard Greens, Sweet Potatoes, Radishes, Cucumbers, Leeks, Potatoes, Parsnips, Eggplant,Squash and Carrots. The public is always welcome to join us on workdays to observe, participate, ask questions and enrich their gardening skills. 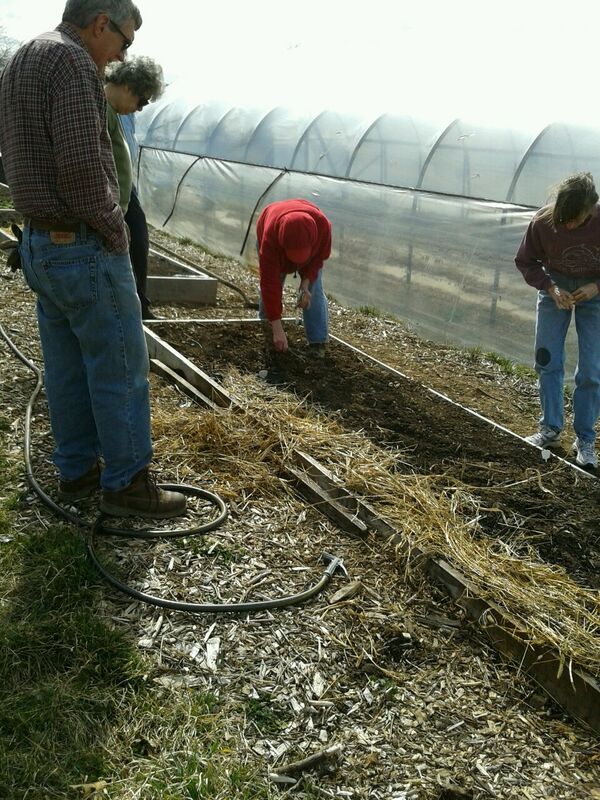 The raised bed group will be meeting each Thursday’s at 1:00 PM. Composting, Pollinators and Small Fruit teams will also be sharing their skills on varying days and times. A definitive schedule will be posted soon. See you there! Will the group have meetings or observation times on the weekends as well? That would be wonderful for those of us who work during the week! One of the sub-groups is planning to schedule times on Saturdays. Will know for sure when final schedule is posted. Thanks for commenting!